What's in your bottle of wine? 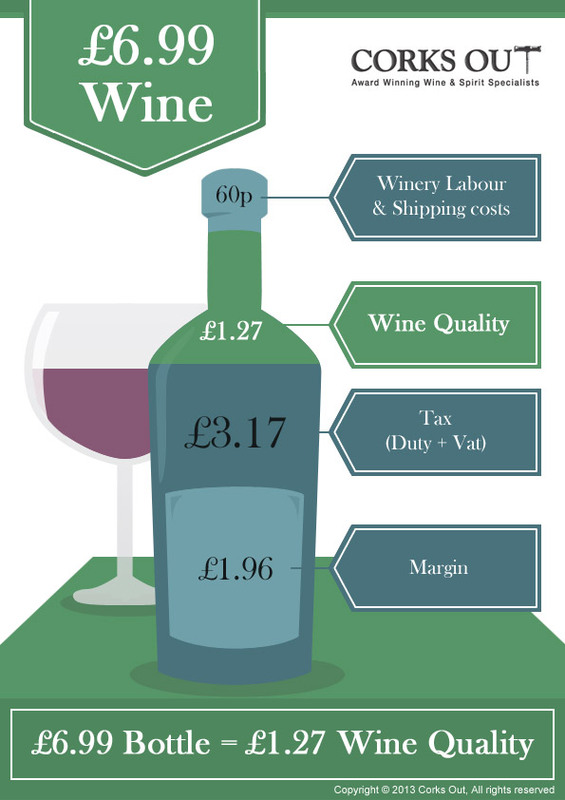 Ever wondered exactly where your money goes when you buy a bottle of wine? Corks Out has provided a cost breakdown for 6 differently priced bottles of wine to demonstrate what you're actually spending on when you pick up your favourite bottle, and how much of your money goes towards the quality of the wine. 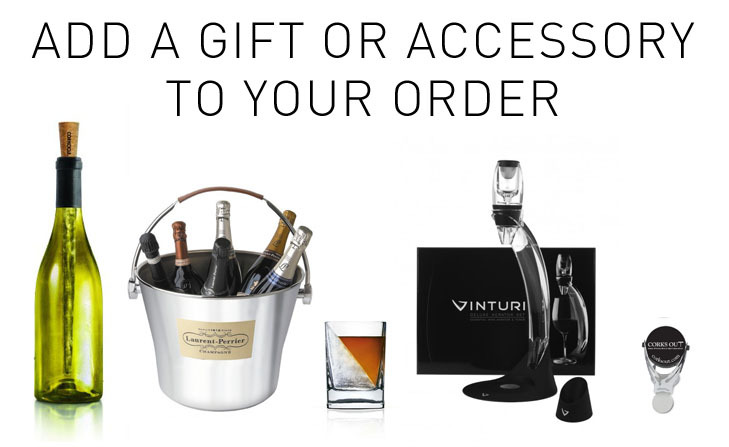 Regularly pick up that £4.99 bottle of wine? 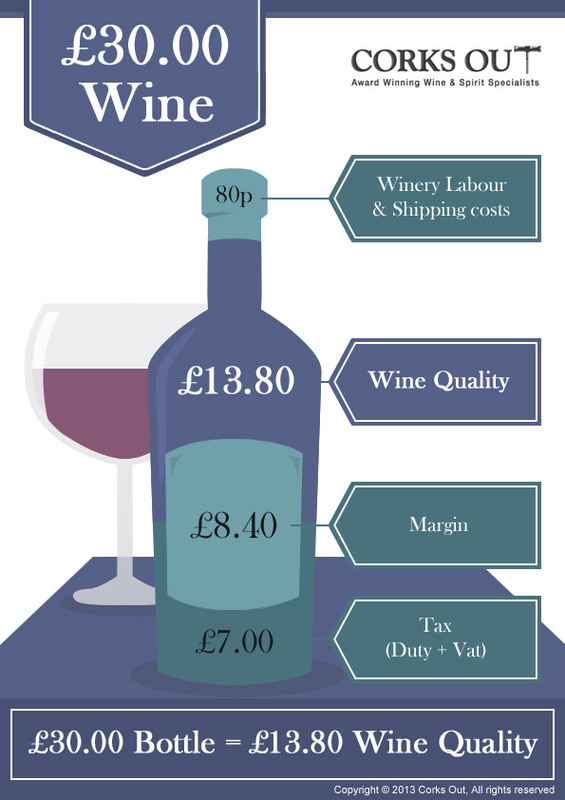 Then we're sure that you are shocked to find out that you're only getting 16p worth of quality, while a whopping £2.73 goes on tax, over 17 times more than you are spending on the wine itself. As the price of a bottle increases, more of your money goes towards the wine quality. Even if you go for the £9.99 bottle, 29.3% of your money goes towards wine quality as opposed to the meagre 3.2% when you buy a £4.99 bottle. The percentage of your money going towards wine quality will then tend to continue increasing as you spend more on a bottle. While we can't change the tax on a bottle of wine, Corks Out can make sure that our customers are aware of how they can get the very best quality. We believe that by spending just that little bit extra on far superior wines without blowing your budget, and opting for an independent wine retailer like Corks Out who work hard to source only top quality bottles, you can start to get even greater enjoyment out of wine. Disclaimer: Tax rates shown per bottle are as set in March 2013. 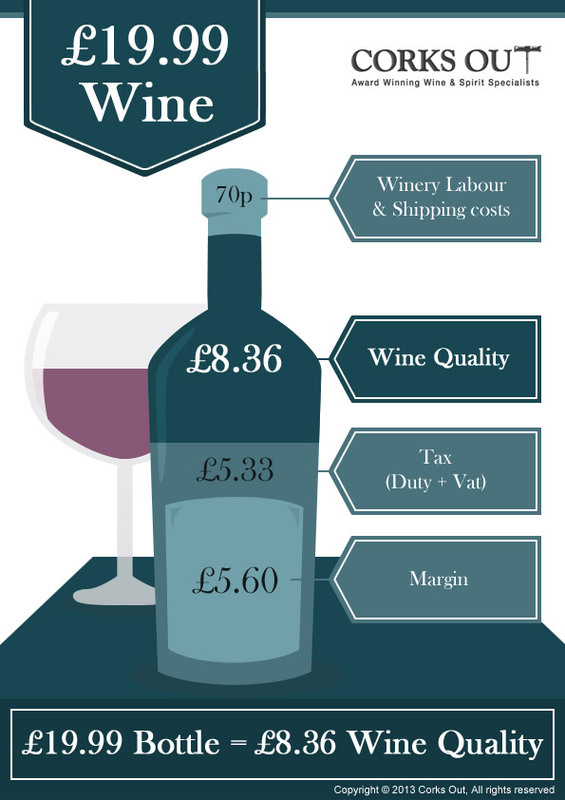 Labour and shipping costs are based on a global average, while the margin of a bottle of wine may be subject to variation.